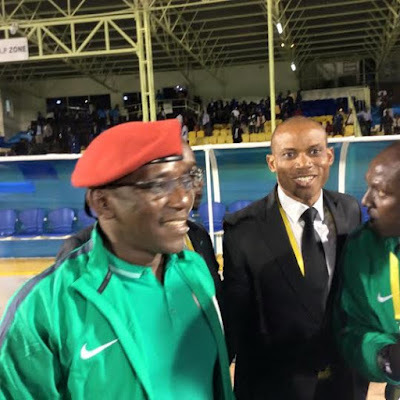 Welcome to Mercy Ebute's Blog: Photos: Sport Minister, Coach Oliseh and others celebrate Super Eagle's victory in match against Niger Republic. 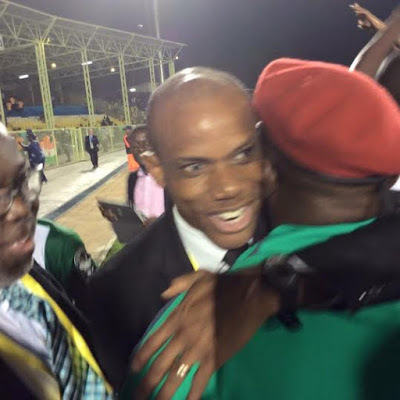 Photos: Sport Minister, Coach Oliseh and others celebrate Super Eagle's victory in match against Niger Republic. 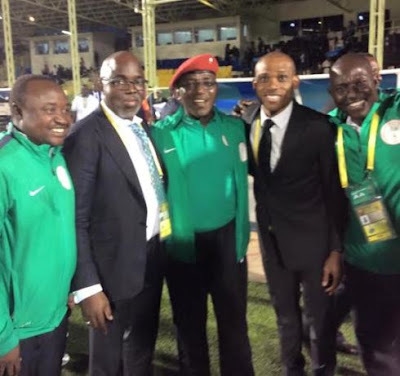 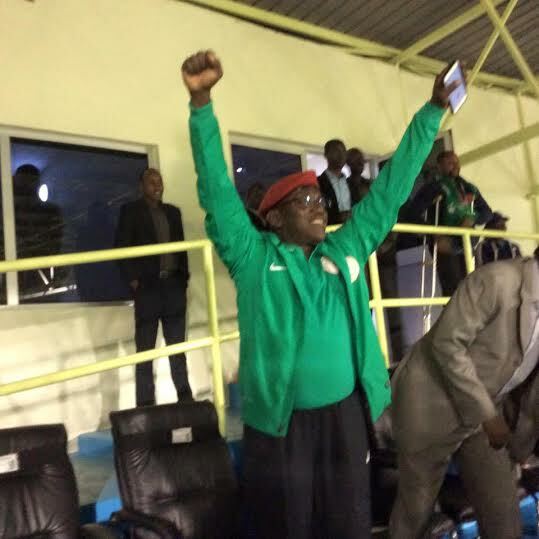 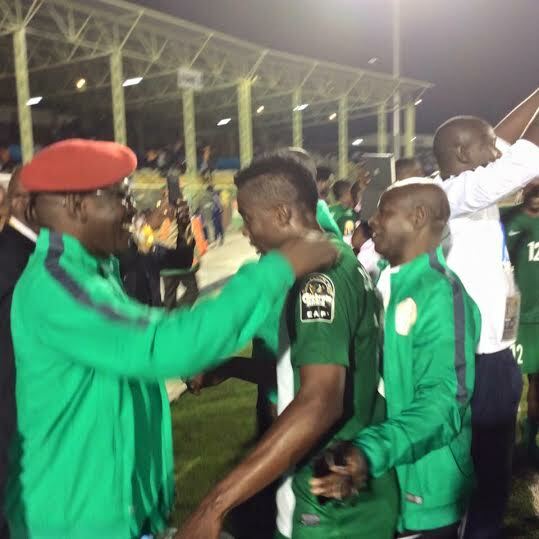 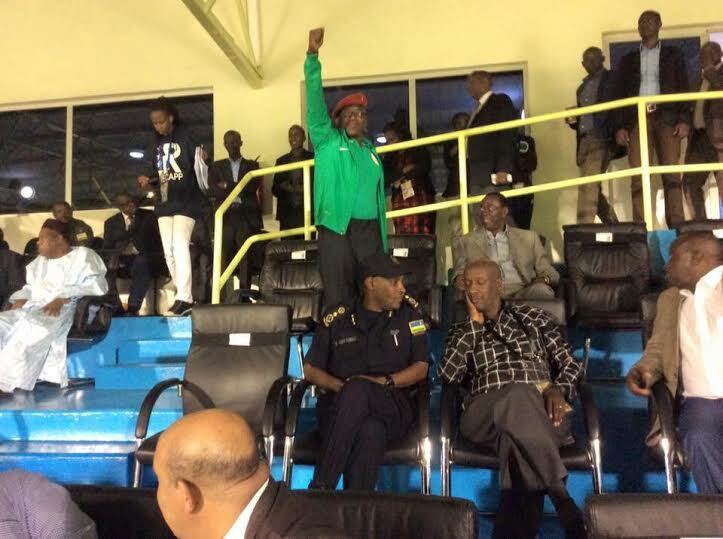 Minister of Sports, Solomon Dalung who is currently in Kigali, Rwanda, joined Super Eagles coach Sunday Oliseh to celebrate with the Super Eagles after they won their group C match against Niger republic at the ongoing African Nations Championship.Nigeria won 4-1.